” I have to tell you a secret that will see you through all the trials that life can offer. Have courage and be kind.” said Cinderella’s mother played by Hayley Atwell. 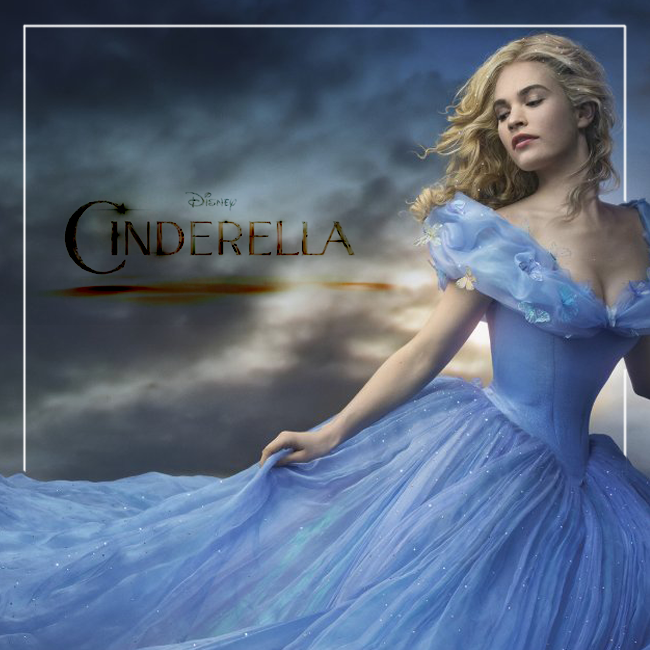 This film was a charming take on the the tale of Cinderella. We get the beautiful Lily James from Downton Abbey and Cate Blanchett as her evil step mother. Also we get the hillarious if not misunderstood fairy godmother played by Helena Bonham Carter. Everyone really knows the film, knows the story, but Kenneth Branagh adds some twist to the story that make it more interesting. Kenneth Branagh is one of my favorite directors, not because he does Shakesphere so well, but that he can bring a timeless classic to life and have it be fun and relevant to modern audiences. The music is done by Patrick Doyle whom Kenneth Branagh uses for all his films. It reminds me of Steven Speilberg and his use of John Williams for every one of his films. You can of course find the score on Amazon. Also it’s found on ITunes. For your listening pleasure I offer up a sample of the soundtrack for you. Well, hope you all enjoyed this post, Look forward to Sunday’s post when I bring you Little Shop of Horrors. Happy Listening! Previous Previous post: WordPress Bloggers Beware! There is a bad site out there!